News - Stevenson Company, Inc.
Joe Pennington, president of Stevenson Company Inc., has been certified with Preventive Controls Qualified Individual Training to help customers train and comply with the Food Safety Modernization Act (FSMA) requirement. The training was provided by Fadi Aramouni at the Food Science Institute. The Food Safety Modernization Act is the most extensive reform of food safety laws in the United States in more than 70 years. With the proactive goal to prevent food contamination, one key change included in the reform that applies to the majority of food processors is the need to have a food safety plan prepared and implemented by a PCQI. What would life be like without electric heat and air conditioning? It’s the 21st century and things like refrigerators and telephones are considered basic everyday essentials. But once upon a time, these items didn’t exist. There was some crazy man who thought to himself, “Huh, what if I could make something that could let me talk to another person through cords?” What a lunatic. President Ronald Reagan proclaimed February 11, 1983 as the first National Inventors’ Day in the United States in recognition of the enormous contribution inventors make to the nation and the world. Reagan chose February 11th to honor the birthday of Thomas Alva Edison. Throughout his life, Thomas Edison established 1,093 patents in the United States alone. In 1990, America’s favorite snack maker was committed to improving the chipping experience for all its customers. They put a dedicated team together to find the causes of and solution to an epidemic of broken chips. The team at Stevenson Company, who was already in a business relationship with said chip company, had a voila moment. 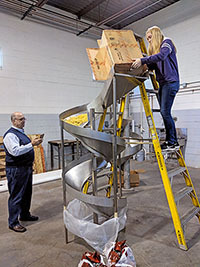 Using the idea of a grain silo, they thought “Why can’t this be applied for potato chips?” Thus, came the first Stevenson spiral for fragile food products. That spiral was installed, to great fanfare, with a breakage percentage of less than 2%. 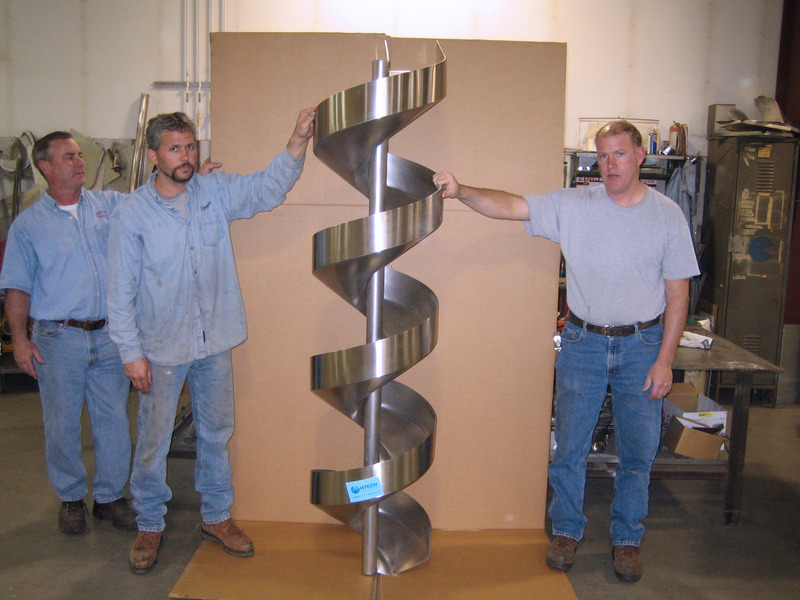 Since the implementation of the first spiral chute, Stevenson Company has made thousands of spirals for plants across the nation. They have evolved into different sizes, configurations and finishes. But every spiral still has the same thing in common: pristine quality. Happy Inventors’ Day to all you innovative spirits out there. Our crew is the safest around. This month we celebrate another year without incident or injury. Much of the success is thanks to the partnerships with our suppliers, consultants and customers. 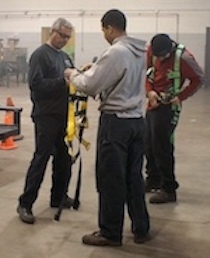 The biggest factor in safety, of course, is our stellar staff. 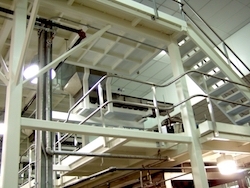 Food safety is the number one priority for food manufacturers. Stevenson Company, Inc. helps by engineering solutions that reduce breakage in fragile products and ensure a safe environment for production. 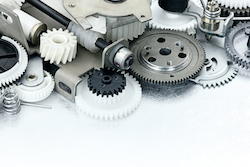 Stevenson Company, Inc., is your partner for custom machine parts. We ease the process of sourcing parts and minimize costly downtime by coverting metal parts to plastic with our CNC technology. Stevenson Company’s new MultiCam CNC router fuels additional food-safe manufacturing abilities for customers. 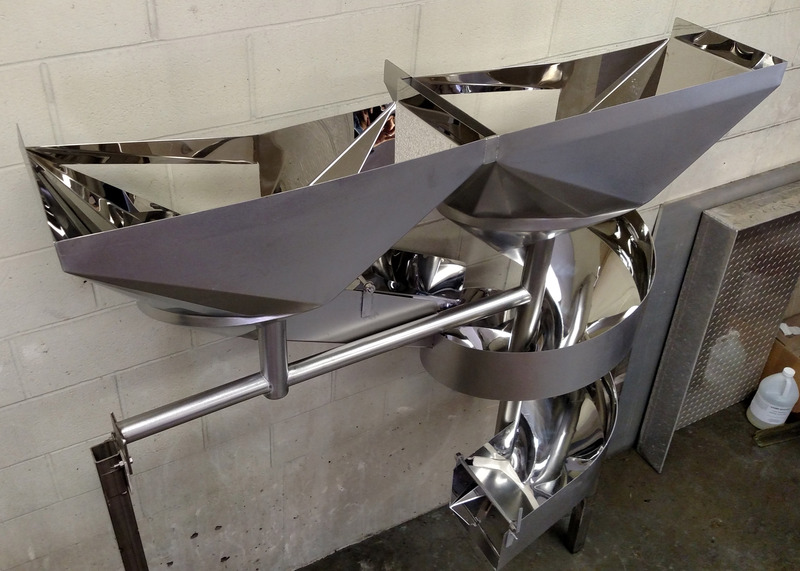 The combination of a CNC router for plastics and a plasma cutter that can blast through stainless steel offer fast, precise solutions for customers. There's no time for downtime when a machine part breaks, so let us fix your problems quickly with our new CNC router technology. Send us a broken machine part and we'll trace it with our technology to create a replacement part for you...Pronto! Forget calling your original equipment manufacturer and waiting. Stevenson Company, Inc., a Topeka-based sheet metal expert, is pleased to announce the promotion of lifelong Topekan, Mark Shughart, to Customer Representative. 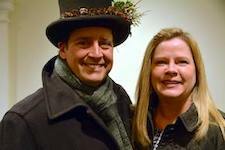 He brings thirty years of industry experience and has been a part of the Stevenson team for nine years. Joe Pennington, President of Stevenson Company, Inc., was chosen to be recognized as a 2017 Washburn Fellow by the Washburn University Alumni Association and Foundation.